Nothing completes good design better than impressive, quality flooring. It can reveal a lot about the ideas and inspirations behind the place's general design. This is why, if we aim for an environmentally-friendly space, we have to research the most sustainable options. One such alternative is recycled wood flooring. It is organic, all-natural, and it looks amazingly warm and cosy. And not only that - wood flooring hasn't backed down from the top of the trend wave for years now. However, if you are tired of the sight of wooden floors, you could try recycled carpeting. There is a number of choices on the market these days. The recycled nylon carpets, for example. After some processing, nylon carpets become softer, and also quite pleasing to the eye. 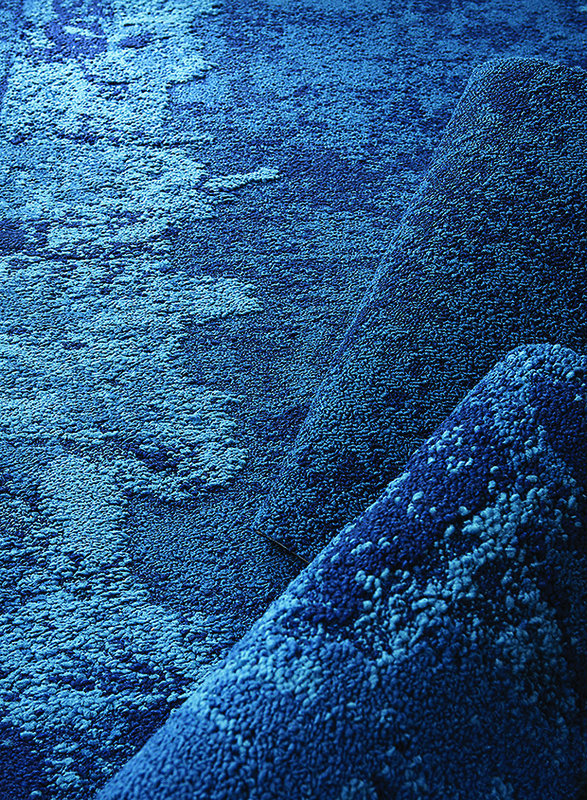 In addition, professional carpet cleaners in Melbourne claim recycled synthetic carpeting is easy for upkeep. But here's yet another great design idea. How about you invite the ocean waves inside your living room, or office space, and help saving the ocean environment at the same time. The Net Effect collection by designer David Oakey, integrates used and no longer viable fishing nets in a beautiful and natural-looking design. The fishing nets, which would otherwise turn into waste floating in the oceans and killing massive amounts of water creatures, are used to create carpeting tiles and planks. The gathered nets come from fishing villages on the Pacific Ocean. They are sent to a recycling plant, where mixed with other waste materials, and processed into 100% recycled nylon yarn. The variations of blue colour hues and shapes allow endless combinations to create the perfect ocean view for your indoor space. The patterns even create a slight visual illusion of water movement. It is a lovely way to not only bring the feel of calming nature in your interiors, but also is a statement of sustainable vision and engagement. This is a new one for me, I have to say I have never heard about recycled carpets - however it makes sense from a toxicity perspective as the gasses should all have come out of the carpet and so should be less toxic (unless they wash it in something horrible to get it clean).